The first non Dean & Britta release on the couple's Double Feature Records is out now. 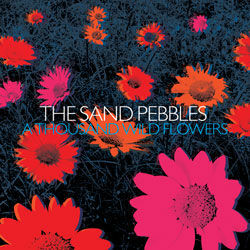 A Thousand Wild Flowers is a compilation of previously released but difficult to get hold of tracks by Australian band Sand Pebbles. The album can be ordered from Dean & Britta's online shop or can be bought in CD and digital format from all the usual outlets.